Alongside BBH and Stink, we have teamed up to create ‘Injection’, the latest turbo-charged spot for Audi. The 40 second advert demonstrates the car maker's Turbocharged Direct Injection (TDI) technology, a key feature of the new Audi A6 TDI. 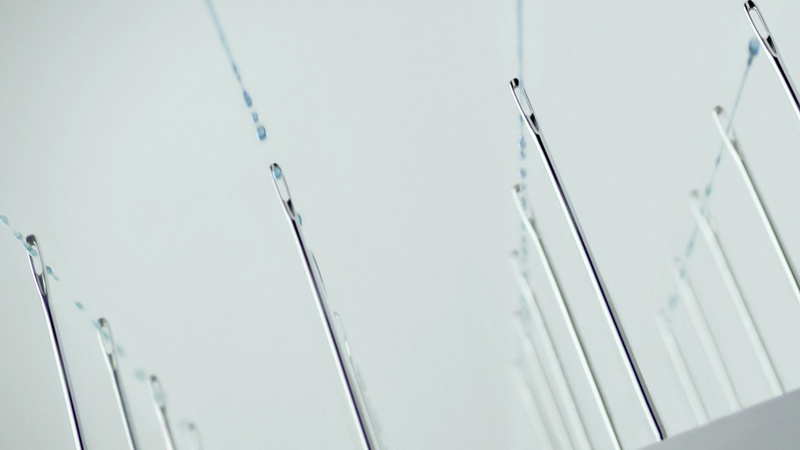 Images of droplets of blue liquid passing through the eyes of needles visually represent the precision of Audi's TDI technology. To achieve this remarkable effect, we composited mulitple shots of fluid and droplets into plates which contained the needles in various formations. The spot closes with four liquid droplets pooling and swirling into Audi's four-ringed logo on the front of the new Audi A6.